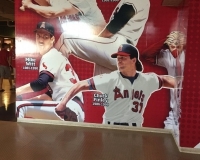 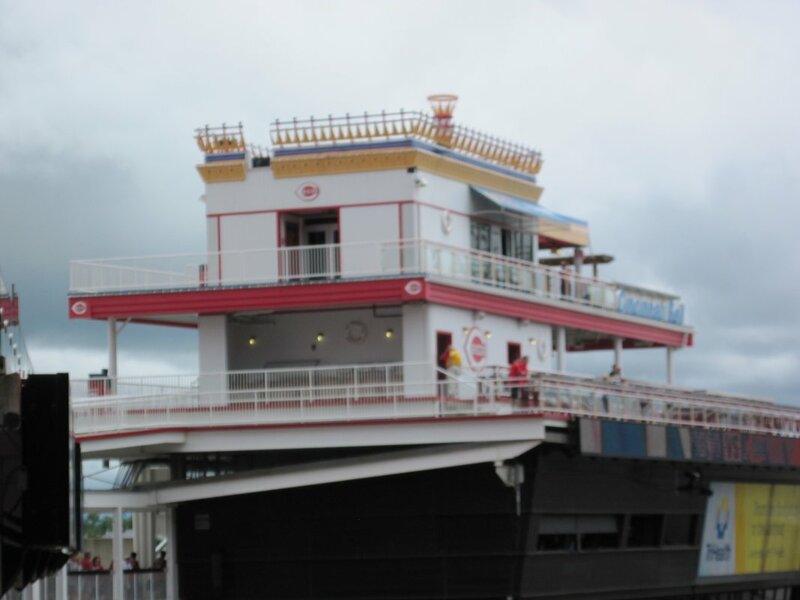 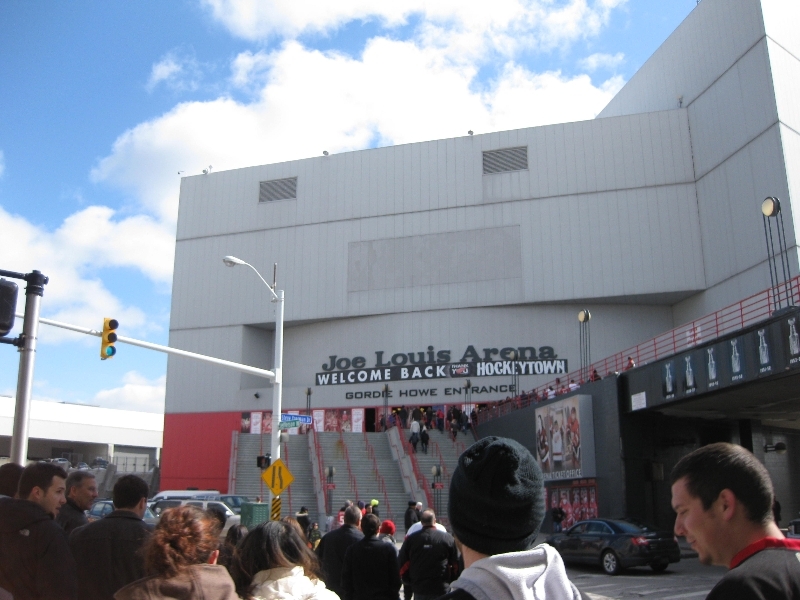 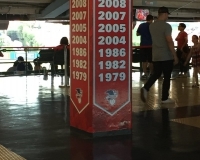 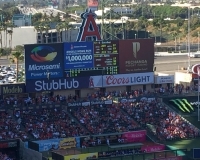 The “Big A” is getting up there in years (it celebrated 50 years in 2016) and has gone through quite a bit in its history, including several renovations as it went from baseball-only to dual baseball/football and back to baseball again. 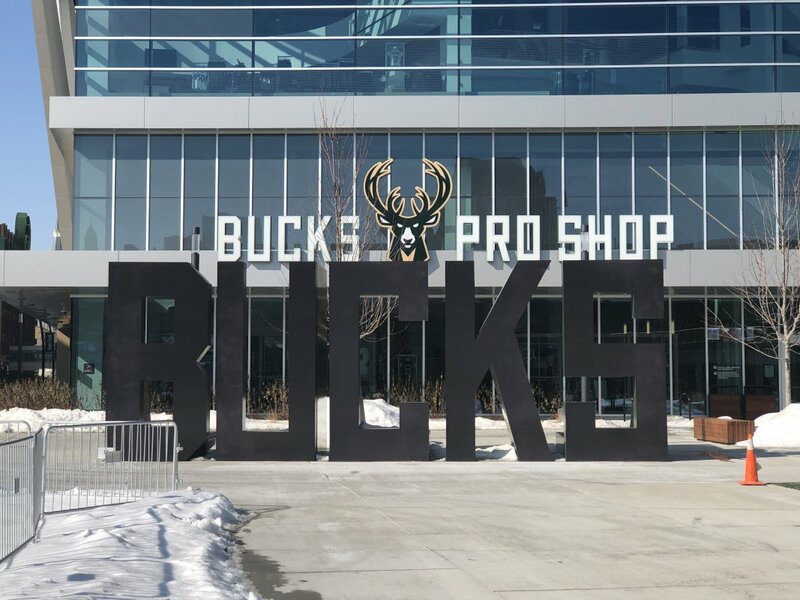 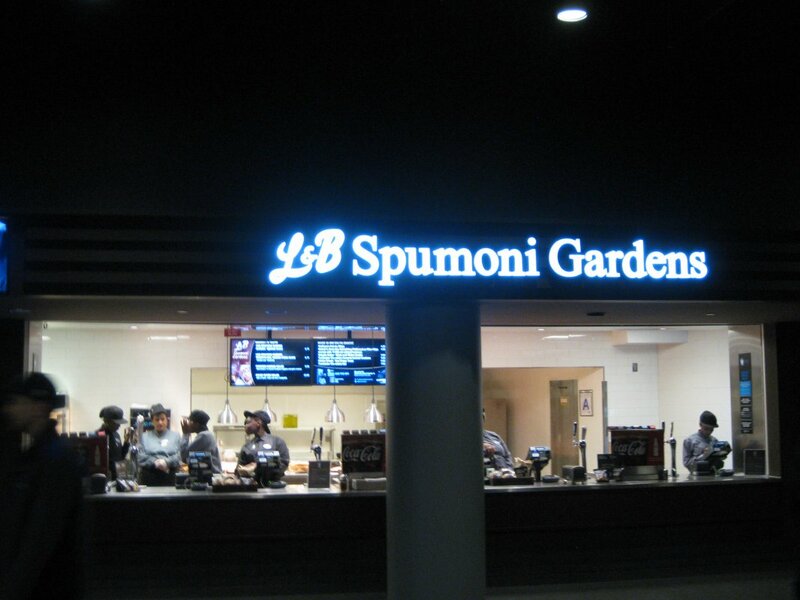 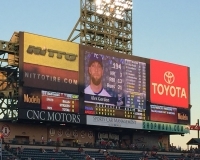 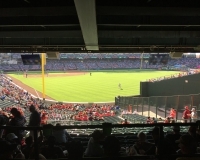 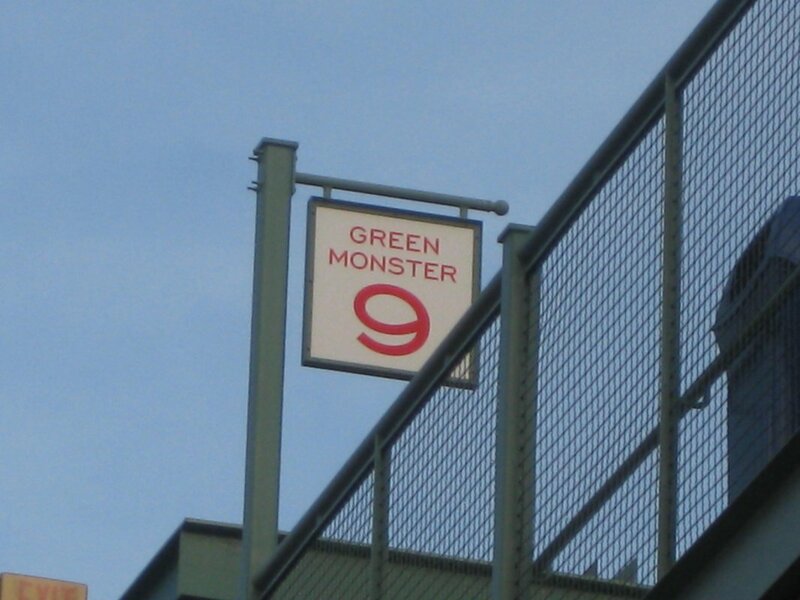 When you attend a game there, you’ll see that the park is showing its age in some areas, but the team has done its best to spruce things up over the years and it remains as good a place to watch major-league ball as any of its contemporaries. 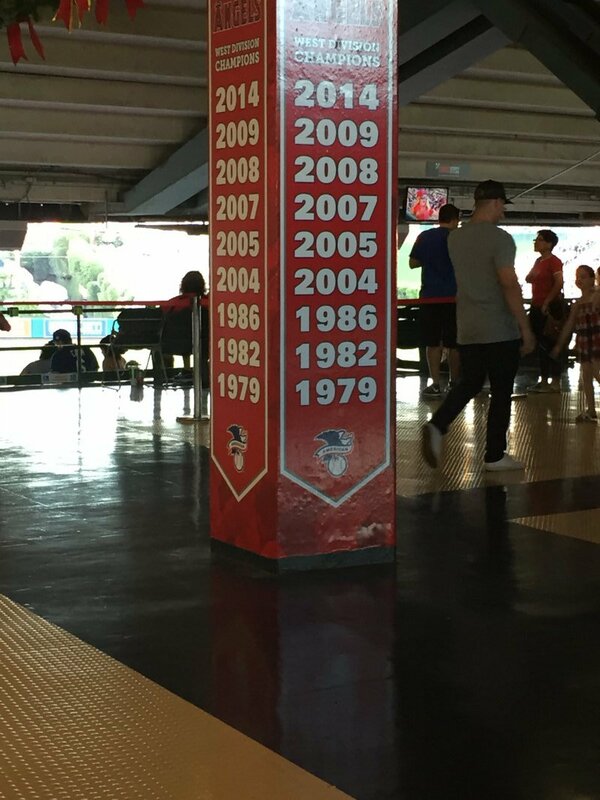 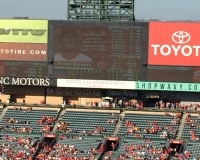 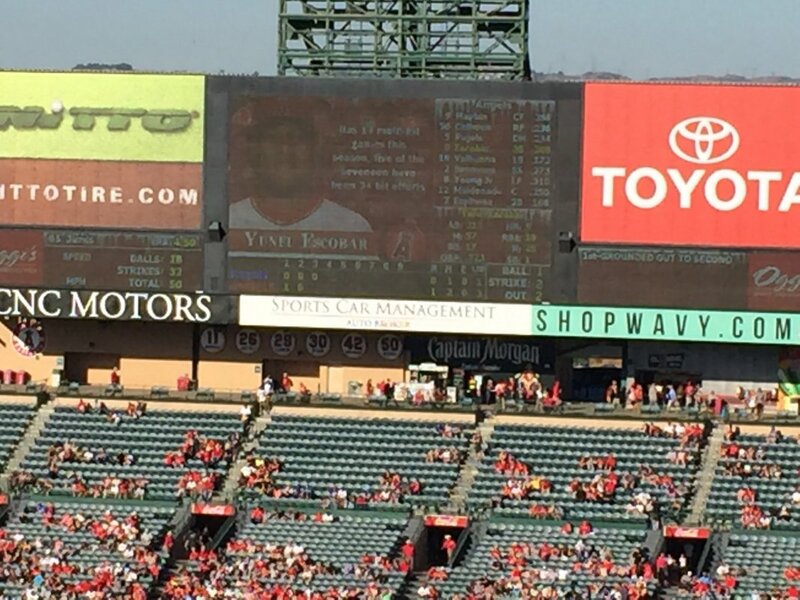 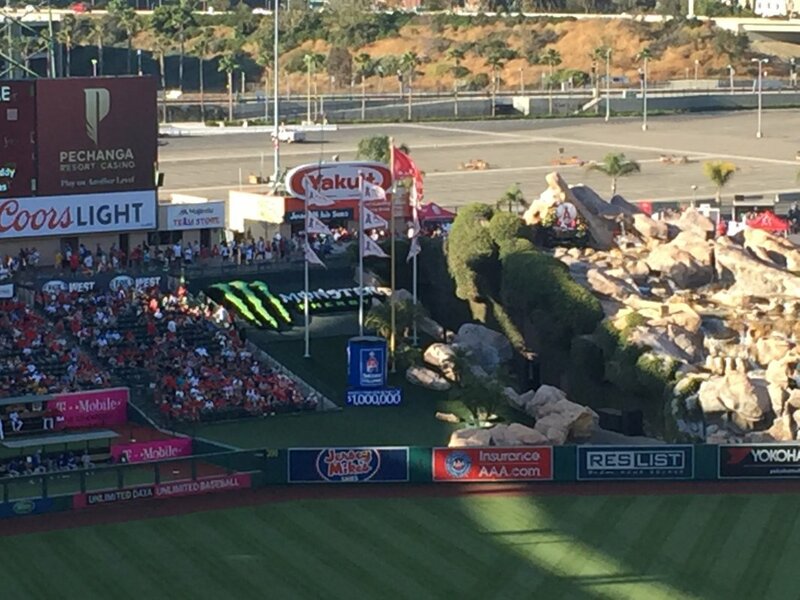 That doesn’t mean Angel Stadium’s long-term future is secure, though. 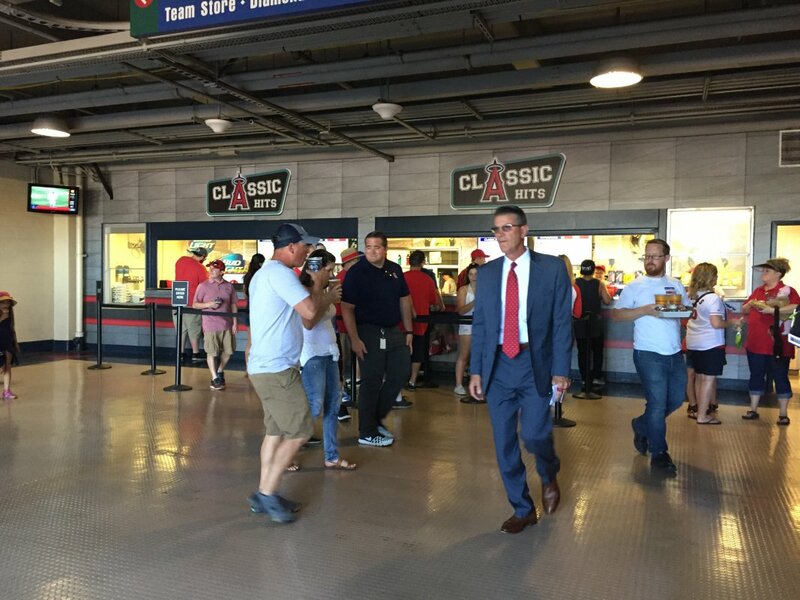 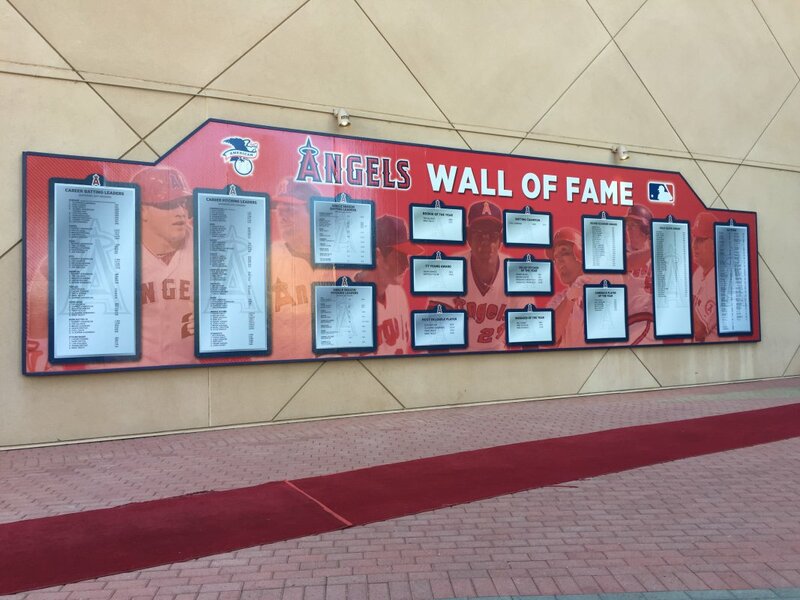 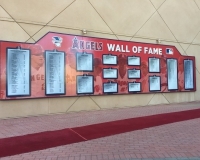 The Angels have been looking around Orange County for potential new ballpark sites in recent years, and at times have been at odds with the city of Anaheim over how to manage the Angel Stadium site going forward. 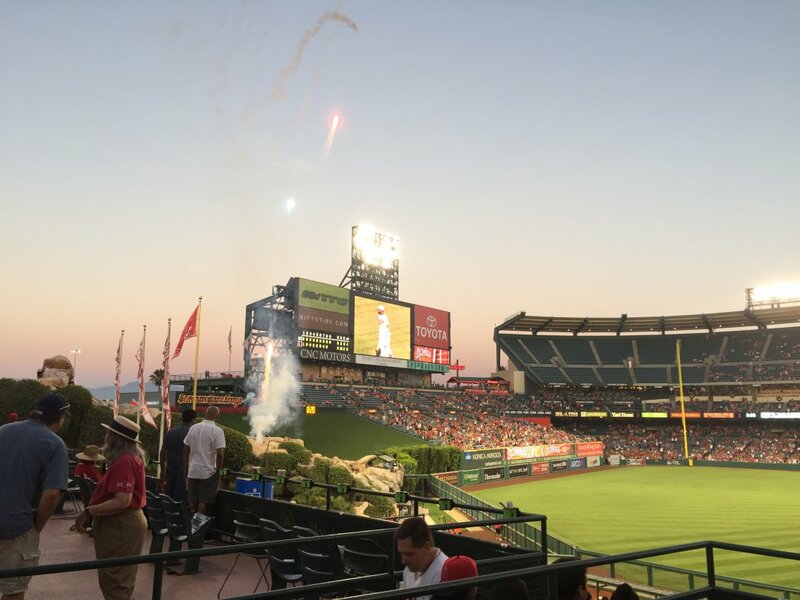 Still, any new home for the Angels seems well off in the distance, and there’s still plenty of time to enjoy Angel Stadium for all it’s worth. 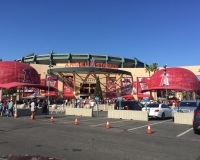 The vast majority of fans arrive at Angel Stadium via car — this is the L.A. area, after all — and Angel Stadium is located right alongside Route 57 (the city’s other pro sports venue, Honda Center, is on the other side of the freeway and visible beyond the outfield bleachers). 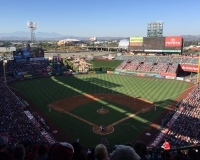 A major freeway interchange, where Interstate 5 meets Routes 57 and 22 in what locals ruefully call the “Orange Crush,” is not far away. 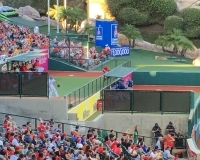 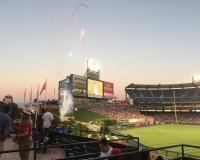 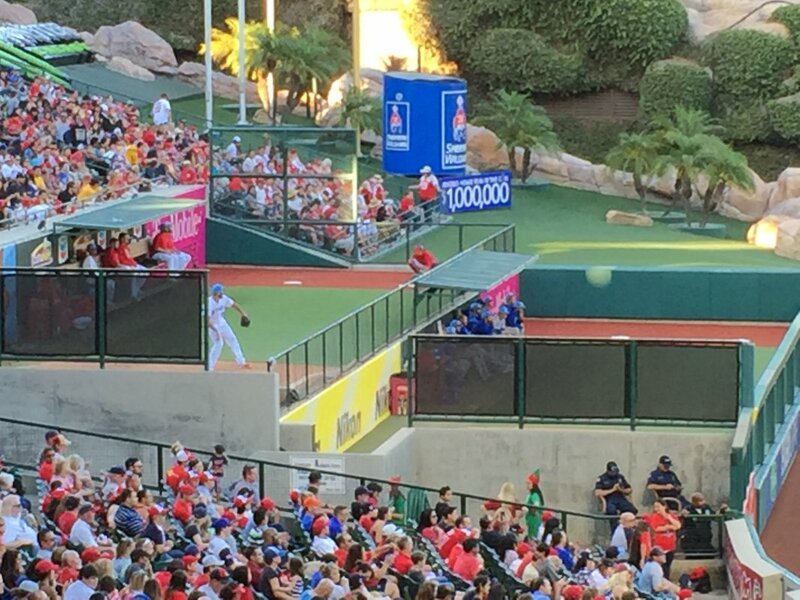 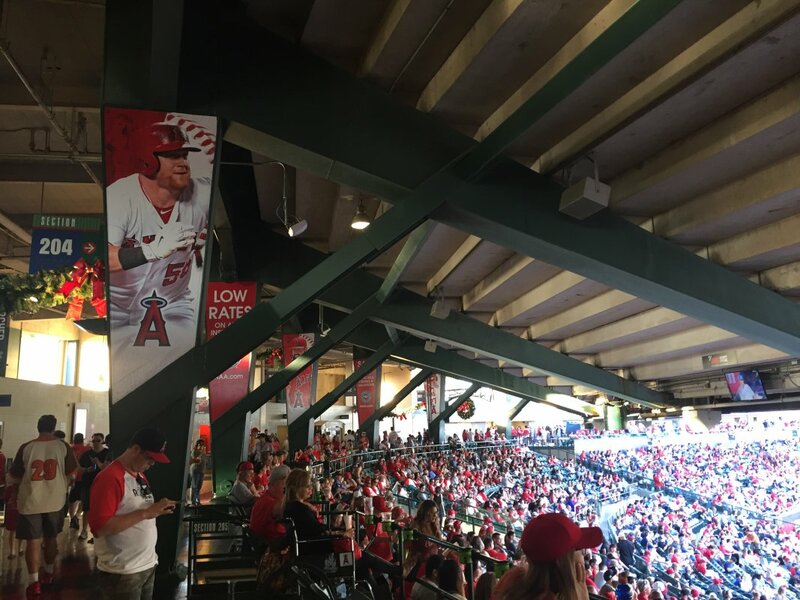 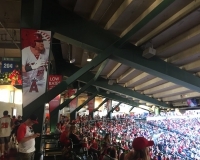 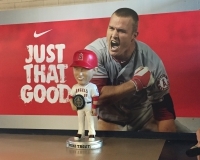 The easiest access points for Angel Stadium are via the Katella Avenue or Orangewood Avenue exits on Route 57, or the State College Boulevard exit on I-5. 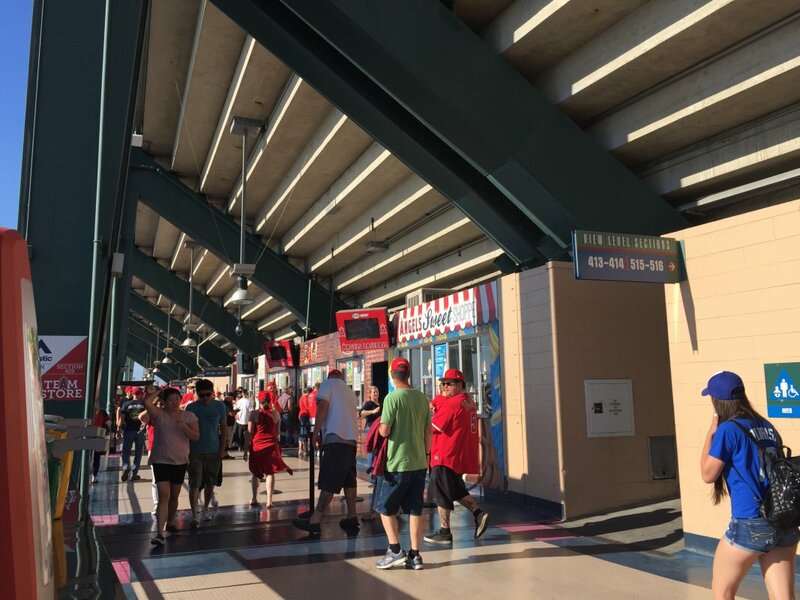 The ballpark is surrounded by a large lot that has several entrance gates via Orangewood, State College and Katella — click here for more detailed driving directions and here for parking information. 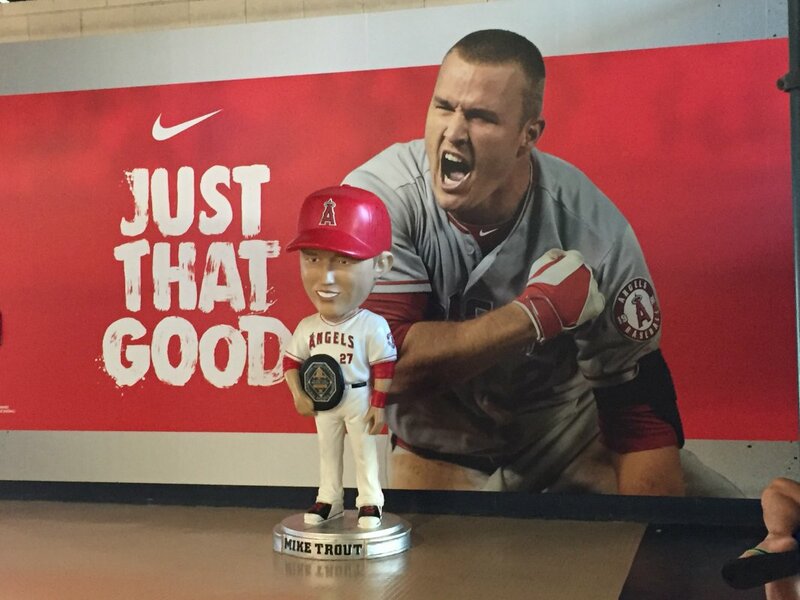 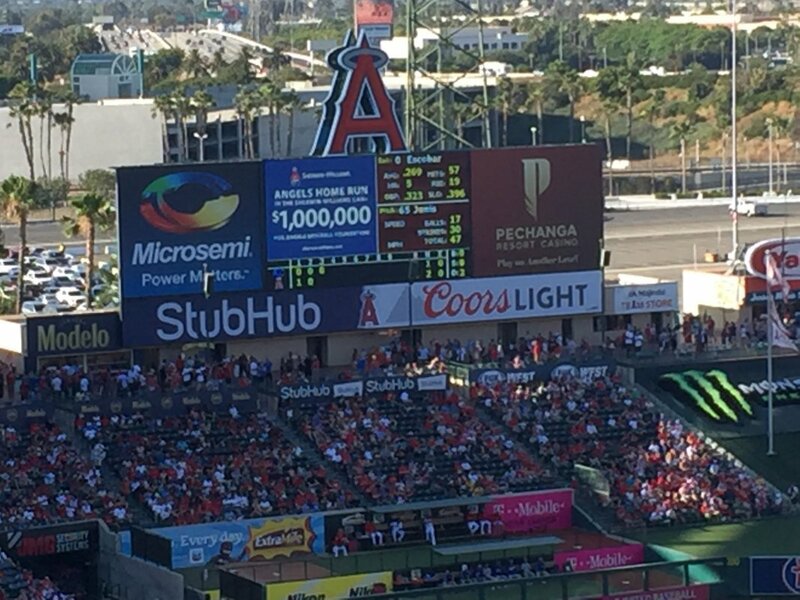 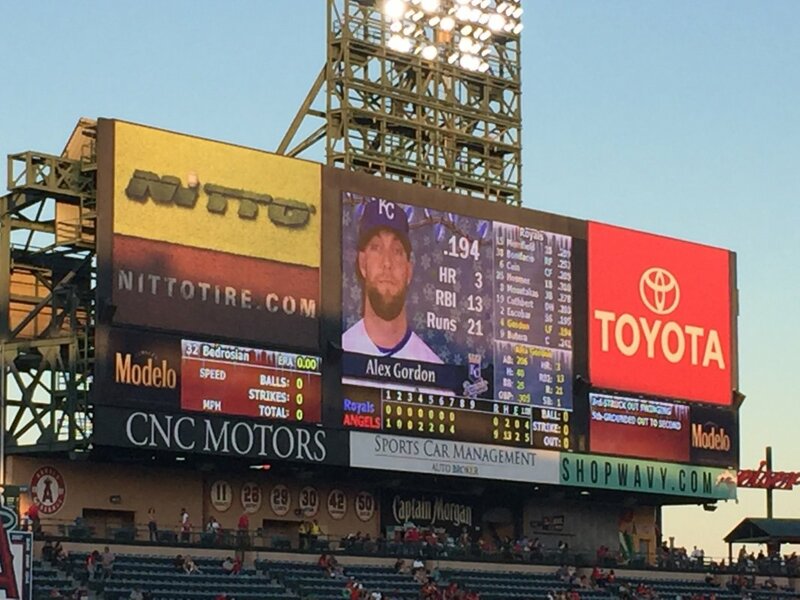 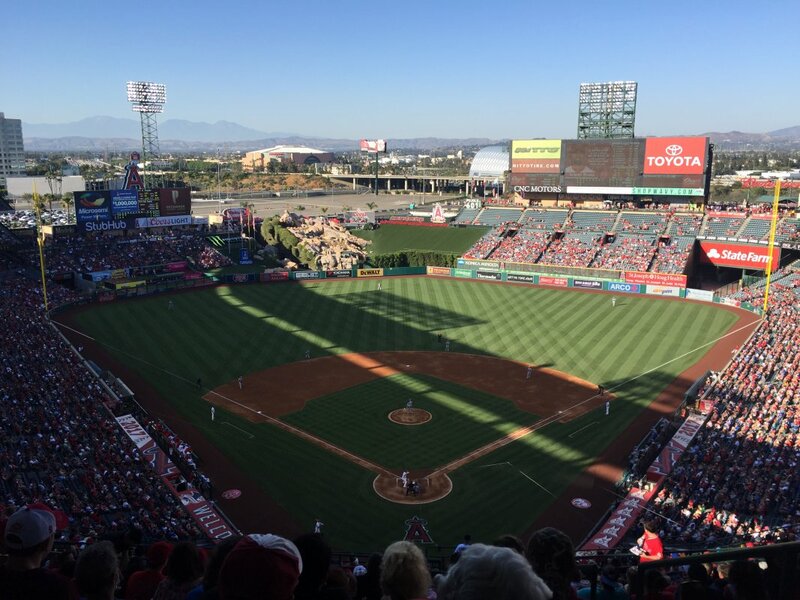 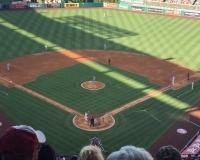 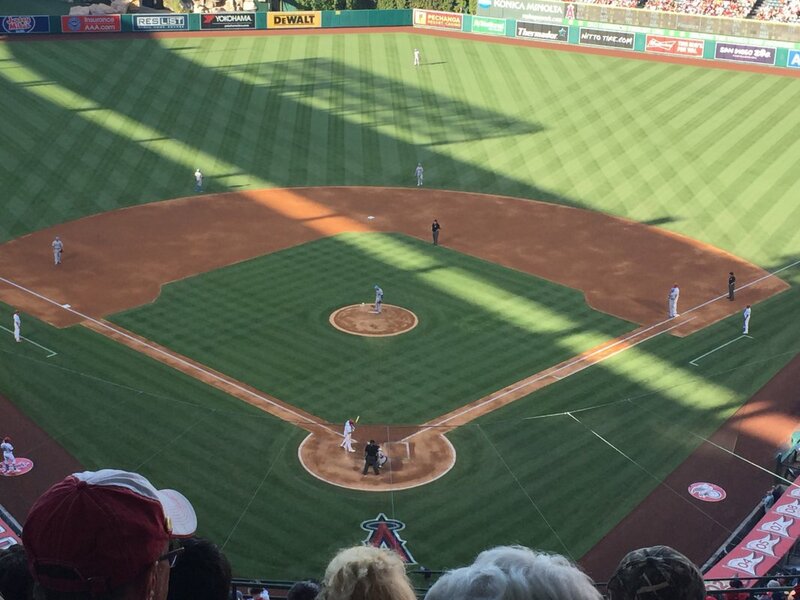 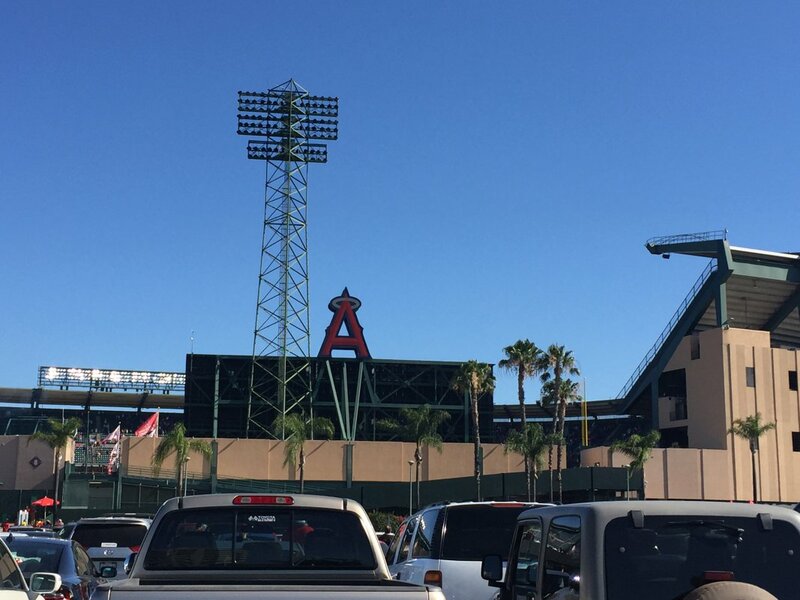 As of the 2016 season, general parking in the Angel Stadium lot cost $10. 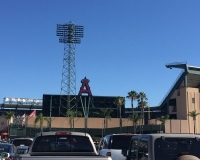 For carpoolers, one way of avoiding the traffic involves using the HOV lanes on Interstate 5, aka the Santa Ana Freeway, and exiting at Gene Autry Drive. 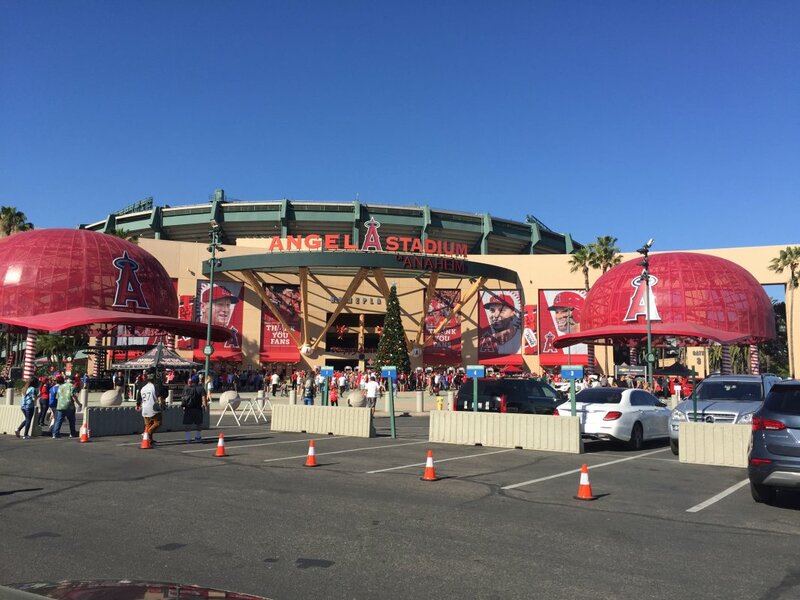 Head east on Gene Autry, which leads directly into the stadium parking lot. 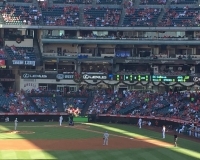 There is a public transportation alternative to the game in the form of Metrolink, the L.A. area’s commuter train service, which runs a special “Angels Express” train from Los Angeles on weekdays. 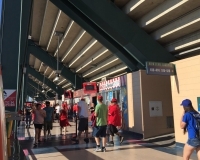 Adult fares are $7 round-trip and the Anaheim station is along nearby Douglas Avenue, with the train platform connecting with the ballpark parking lot. 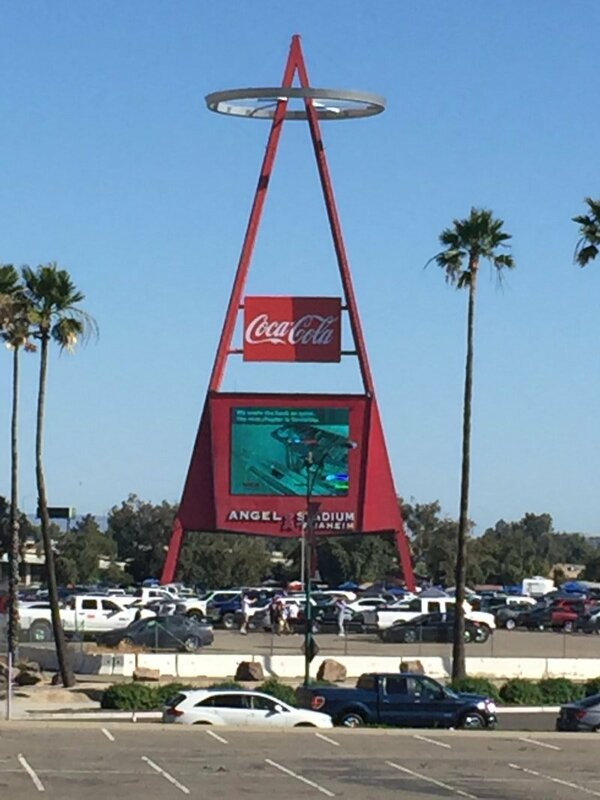 Amtrak also services this station; as of the 2017 season one-way fares between L.A. and Anaheim was $15. 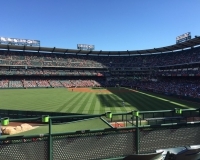 This particular section of Anaheim, known as the Platinum Triangle, is tourist-heavy because of nearby Disneyland and the Anaheim Convention Center, so hotels, restaurants and bars are plentiful. 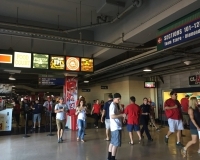 An influx of new apartments and condo buildings, some springing up right across the street from the ballpark, has contributed to the increase in entertainment and nightlife options. 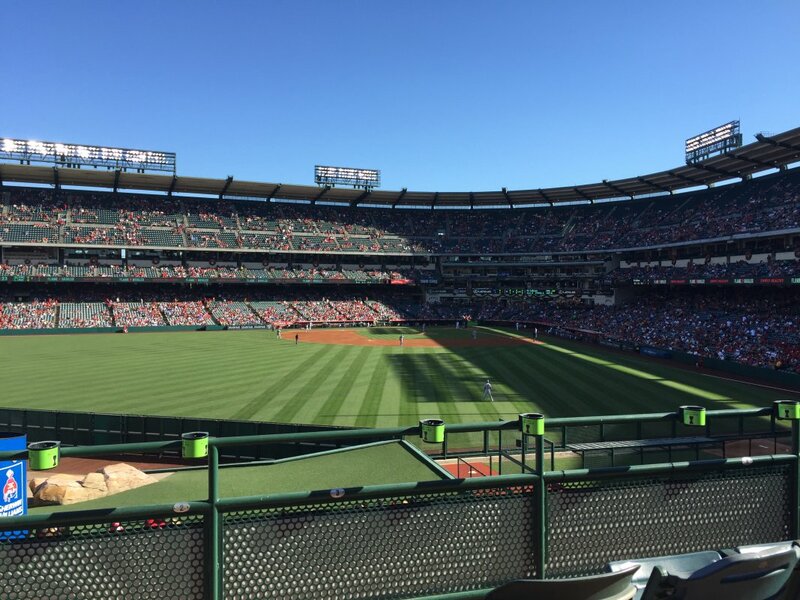 You can survey your options along Harbor Boulevard between I-5 and Orangewood Avenue, as well as Katella between State College and Douglas, but know that you’re just as likely (perhaps more so on most days) to find yourself among families in town to visit Disneyland as baseball fans. 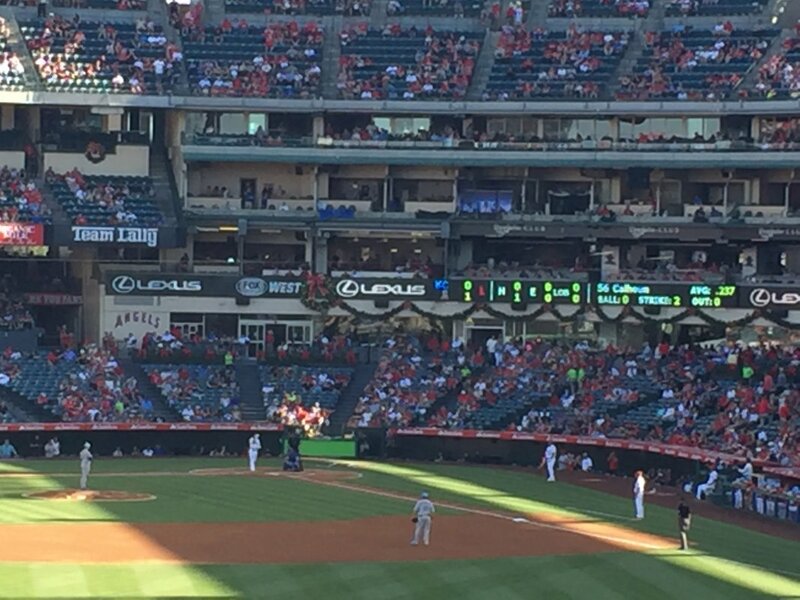 For a more sports fan-specific atmosphere, try the number of establishments along Katella between Douglas and Main Street, east of the ballpark — because they’re closer to Angel Stadium and Honda Center than to Disneyland, they tend to be more frequented by sports fans. 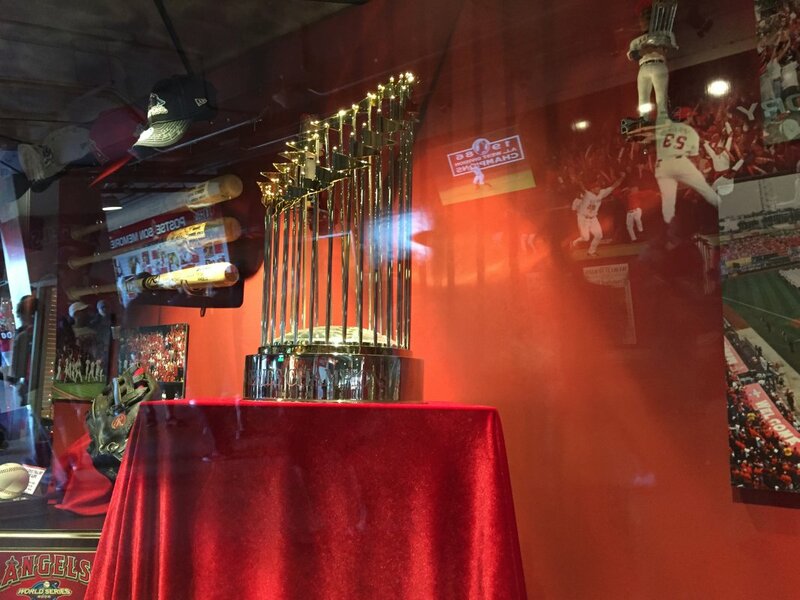 A few places worth checking out: J.T. 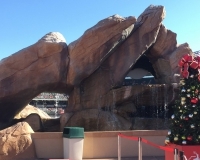 Schmid’s, across from Honda Center; Lazy Dog; and The Tilted Kilt. 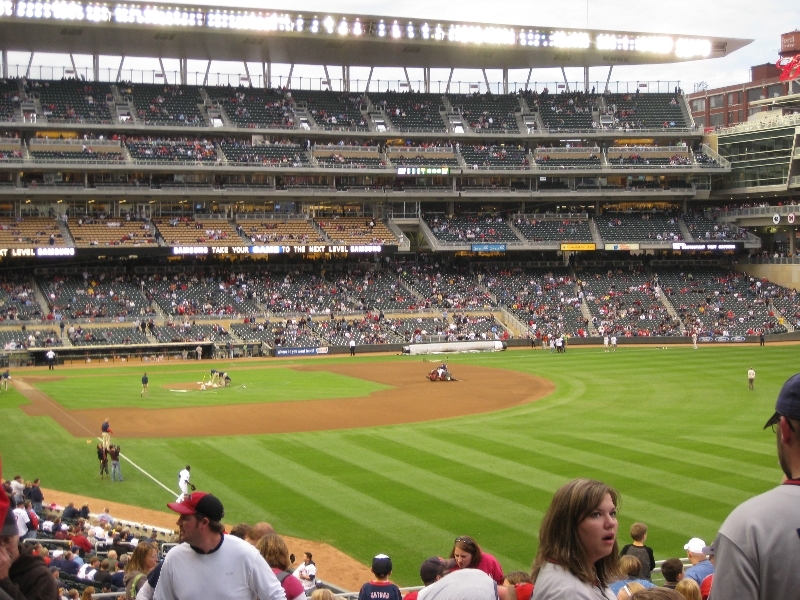 The latter two are located in a shopping center known as the Stadium Promenade in the adjoining city of Orange. 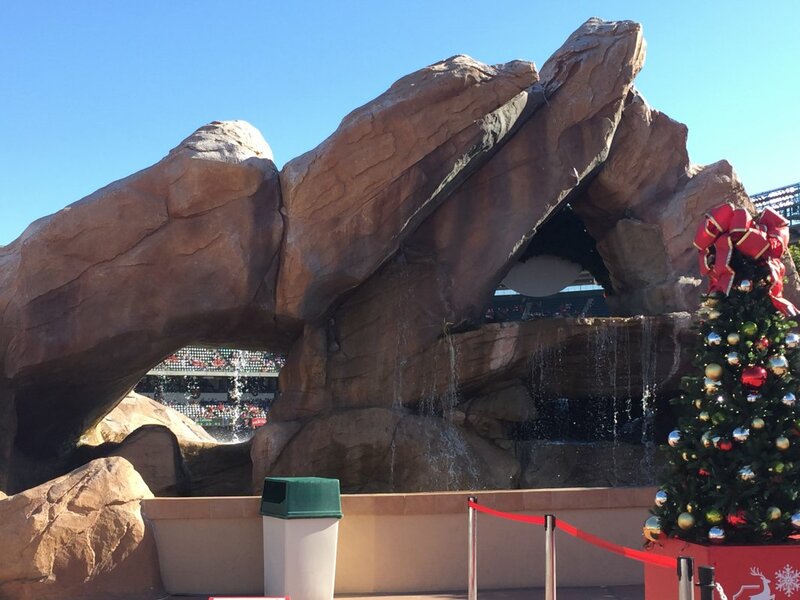 Another viable pregame option: Stop by Disneyland. 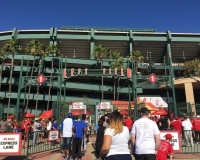 Yes, sports fans do carve out time to cavort with Mickey Mouse before games, and happily wear their fandom on their sleeves as they explore the Magic Kingdom. 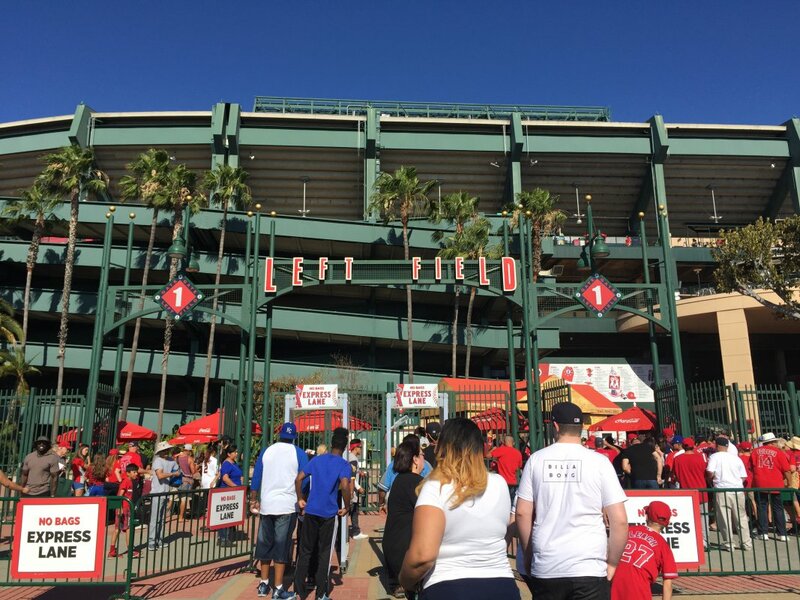 Be sure to plan ahead, though, because admission is pricey and it’s best to have enough time to make your investment worth it. 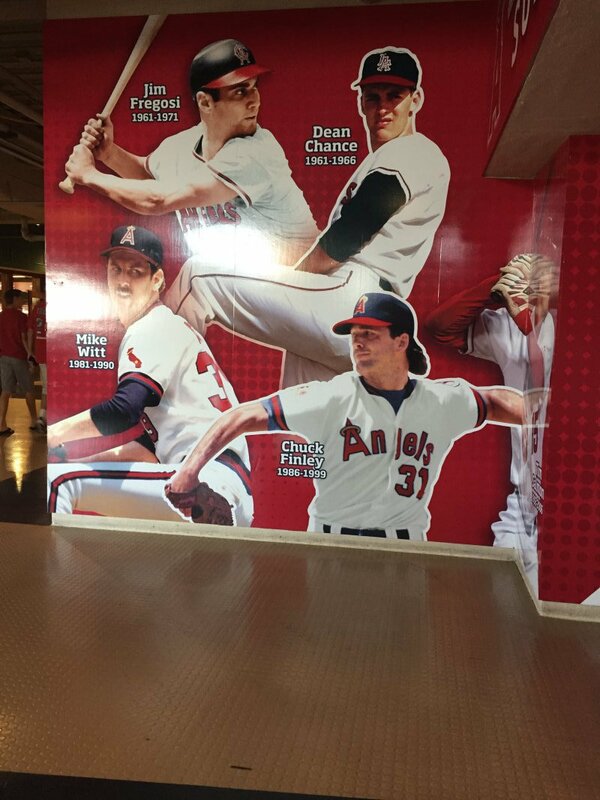 Angel Stadium is an old lady that’s gotten a bit of a facelift and made to look modern, but signs of its age are still readily apparent. 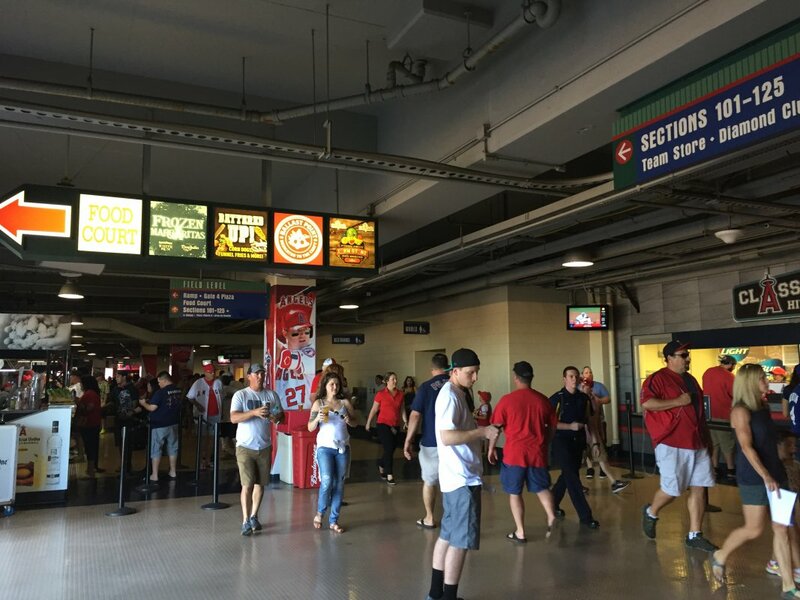 For example, its corridors have been dressed up in a lot of areas, but in others they’re barren and worn (particularly when you get toward the outfield in less-traveled areas). 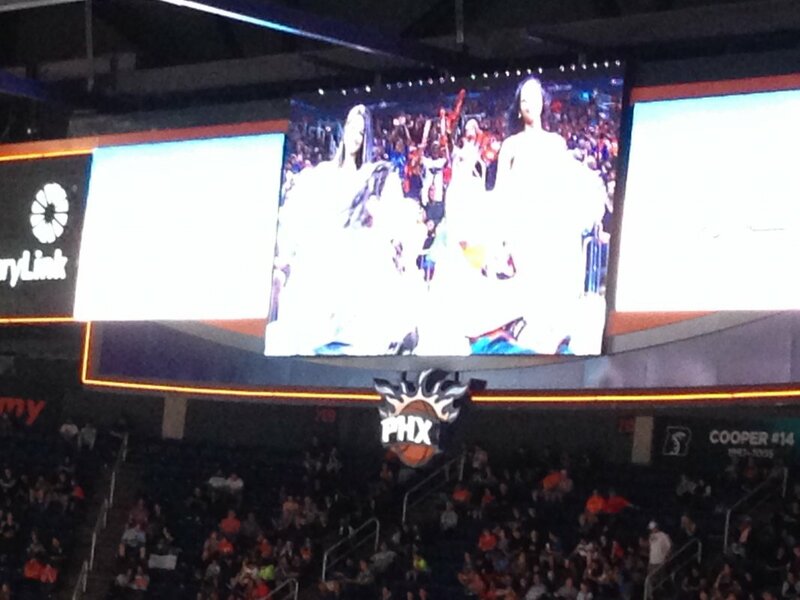 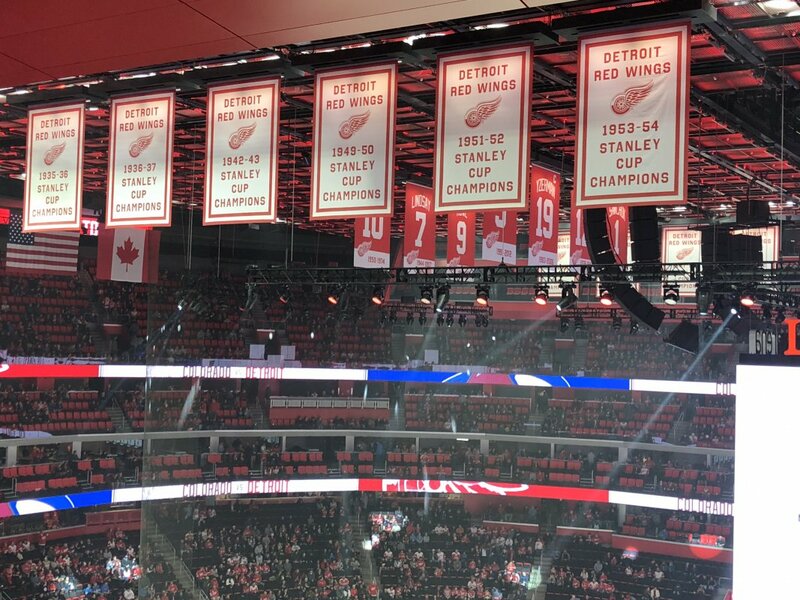 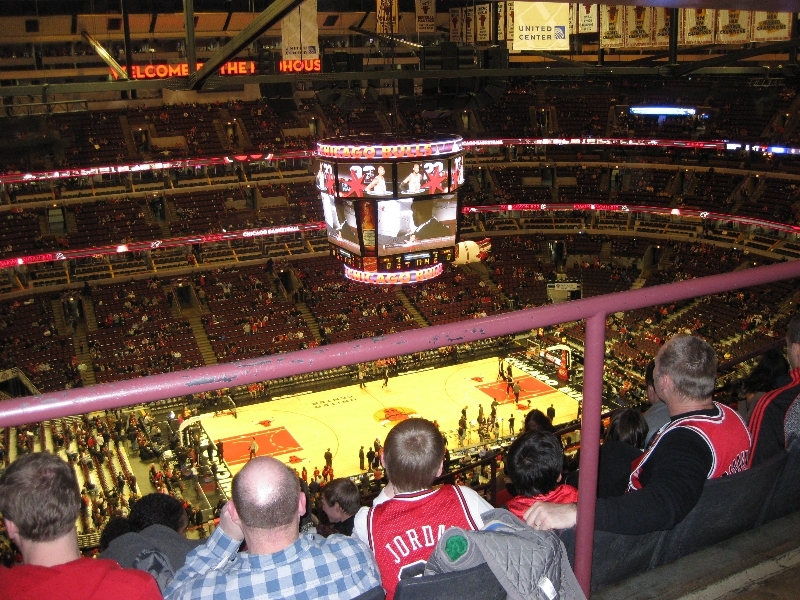 Still, they’ve done a good job matching up to newer facilities in terms of accoutrements. 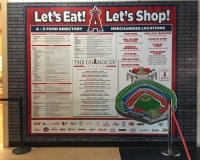 There’s probably no better example of this than along the field-level concourses, where areas that used to just be extra gates back in my early days of Angel fandom have been transformed into what are essentially outdoor food courts — the one on the third-base side was filled with usual suspects like Wetzel’s Pretzels and Panda Express, but it also featured a barbecue stand and a number of picnic tables shaded by palm trees. 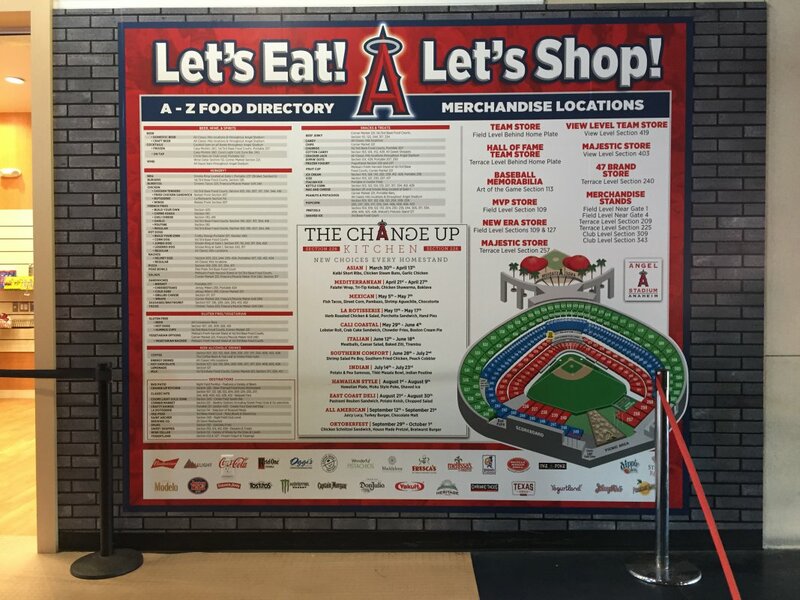 Speaking of concessions, it’s fairly standard fare, though California favorites such as garlic fries and loaded nachos are easy to find. 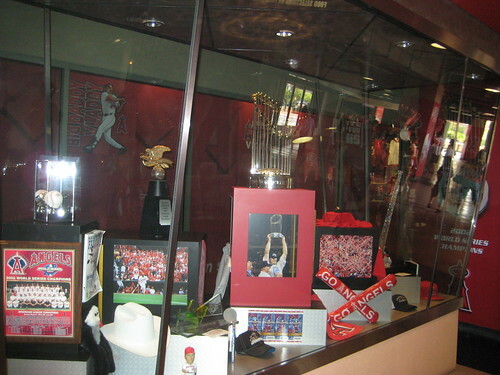 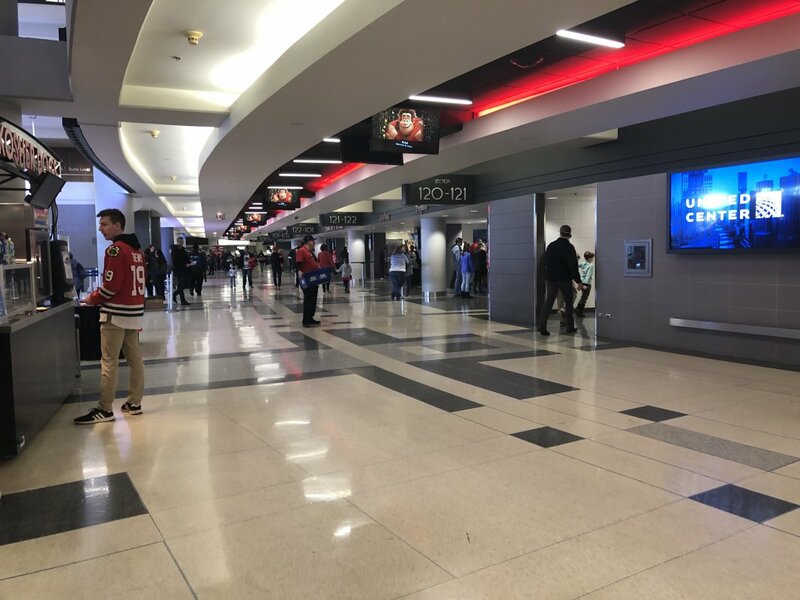 The main concourse, though a bit cramped, features the team store and a display case containing mementos from the 2002 World Series title. 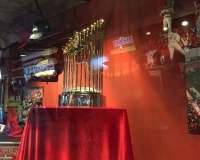 You can also peek into the home-plate club area, where people get food from a carving station while regular folks gawk from the other side of the glass. 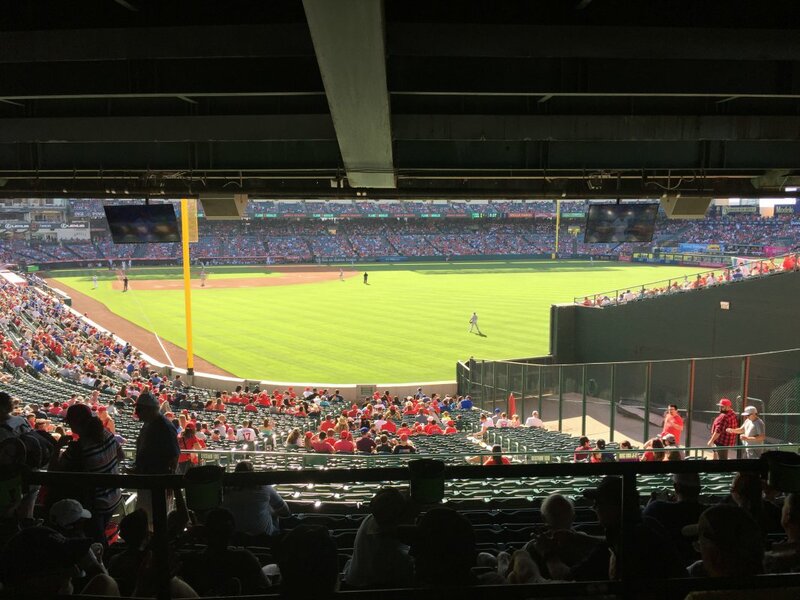 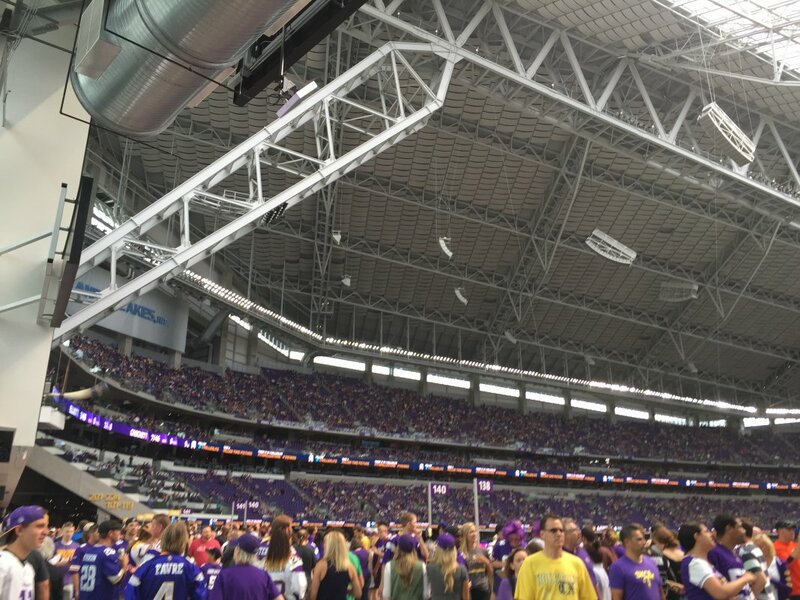 Because it was built as a baseball-only facility first, sight lines from seats from foul pole to foul pole are excellent, and the upper deck (known here as the View Level) is not as high as the top decks at most newer ballparks. 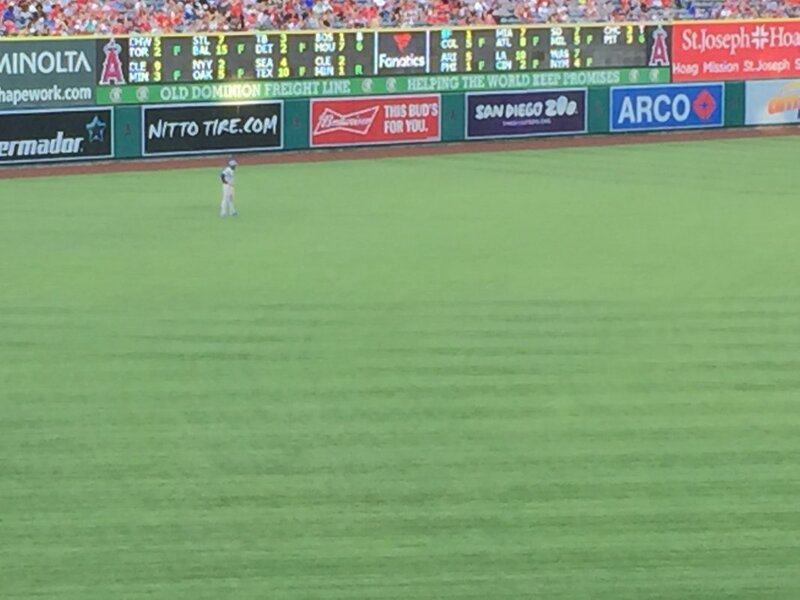 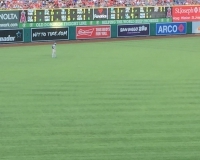 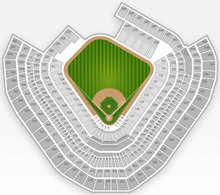 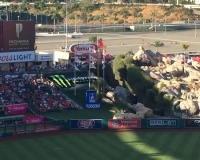 The outfield configuration, meanwhile, is a remnant of the days when the stadium also hosted the Los Angeles Rams of the NFL, a reason why the bleacher seats beyond the right-field fence are so high. 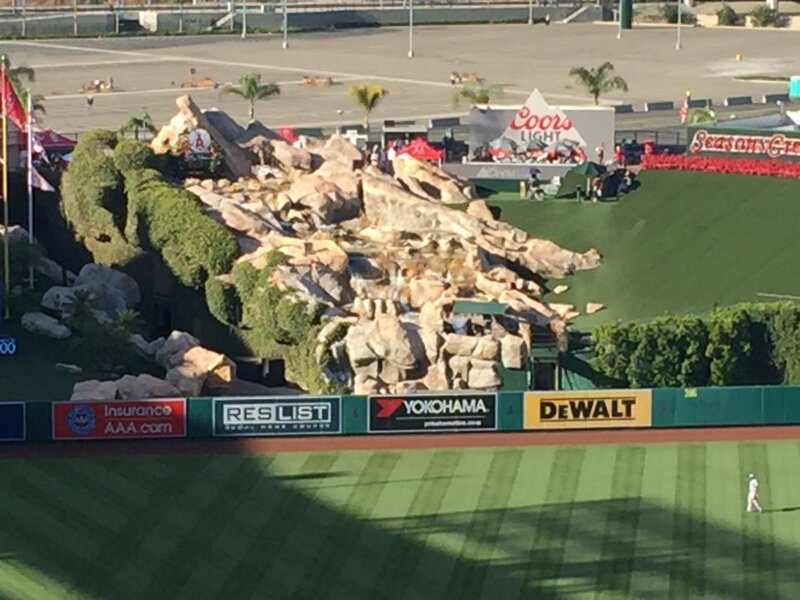 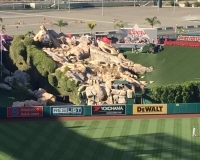 Angel Stadium boasts one remnant of the days when Disney owned the team — the rock formation in left-center field that shoots off geysers whenever an Angels player hits a home run. 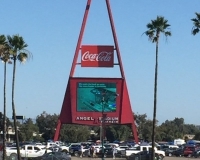 For a more classic relic, look beyond the fence at the marquee that rests alongside Route 57 — it was the stadium’s original scoreboard and, because of its shape, is the primary reason the ballpark has the nickname “The Big A.” When the Angels win, the halo at the top of the Big A lights up.